Maximum Volume Marketing is an Internet services and Internet marketing firm based in Mesa AZ that serves the world through the power of the Internet. You don't have to spend big money to market your small business on the Internet. Search Engine Optimization, Social Media Marketing, and WordPress websites are the areas we specialize in. MS PC with Google Chrome and my image editing is done with Microsoft NOT PhotoShop. I endorse and approve WordPress for website creation. None.. I am mostly self-taught. I did attend Mesa Community COllege for one year and I may go back when I am not entirely too busy with web design to earn my web design degree. Phoenix,	Mesa,	Glendale,	Scottsdale,	Chandler,	Tempe,	Peoria,	Gilbert,	Sun City,	Avondale	and other cities within 90 miles of Mesa.,	Surprise,	Sun City West,	Cave Creek and Fountain Hills	. We currently average 50-60 websites per year and we also serve another 50-60 clients with existing websites in need of search engine optimization and social media marketing services. Probably getsantasletter.com because the client shot down the first 2 prototypes and the third was what I envisioned when we first met. I got started because I wanted to build a website to showcase my own photography for the world. After it was done, I wanted to be on top of Google, so that's when SEO started. Jobs ?? Aren't those things work ?? I am a man who is doing what I love and I haven't worked a day since I started doing it. Without work, there are no jobs...right ? For WordPress websites we offer video tutorials that give you exact, image verified, instructions on how to continue creating your website. Search Engine Optimization = Always ask if they employ black hat, grey hat, or white hat techniques. Social Media Marketing = Always ask how they intend to engage your audience. First answer should always be: "By asking questions." This year it's been: "Why am I not showing up on Google anymore ??" The answers have ranged from, "Well you haven't updated your website in 6 years" to "Because you have 14 different domains all pointed at the same website"
Web Design and search engine optimization is not a profession that you learn to do and that's it. Because web standards and search engine algorithms are constantly changing, you need to stay up to date and educate yourself continuously. Ha !! Well, not only do I run my own operation, but I am also "the man behind the curtain" for an even larger operation that professes to be the WORLDS BEST INTERNET MARKETER (dot) com. We're the answer you are seeking. 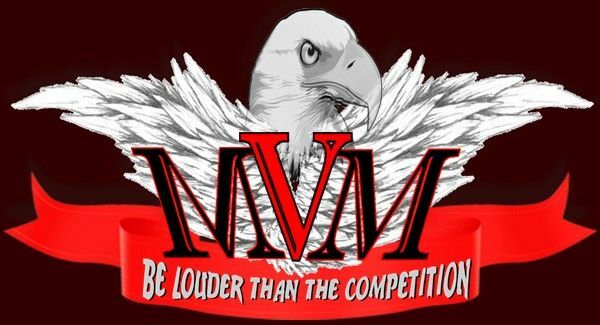 Our slogan is "Be Louder than the Competition." But, our motto is: "It shouldn't cost BIG money to market your small business on the Internet." Maximum Volume Marketing has been rated with 5 out of 5 stars based on 1 customer review. Fixr has reviewed the content provided by Maximum Volume Marketing to match our community guidelines. Maximum Volume Marketing has been rated with 65 experience points based on Fixr's rating system. Fixr has validated the email provided by Maximum Volume Marketing. I have been using this service for one year, and for the money no one can do a better job. They are good and unique. You will be amazed what they can do I am.